ASTM A333 standard covers wall seamless and welded carbon and alloy steel pipe intended for use at low temperatures. ASTM A333 alloy pipe shall be made by the seamless or welding process with the addition of no filler metal in the welding operation. All seamless and welded pipes shall be treated to control their microstructure. Tensile tests, impact tests, hydrostatic tests, and nondestructive electric tests shall be made in accordance to specified requirements. Some product sizes may not be available under this specification because heavier wall thicknesses have an adverse affect on low-temperature impact properties. ASTM A333 steel pipe production includes a series of visual surface imperfections to guarantee that they have been properly manufactured. 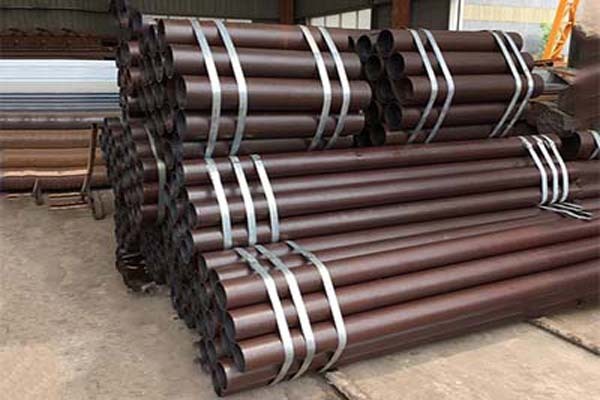 ASTM A333 steel pipe shall be subject to rejection if surface imperfections acceptable are not scattered, but appear over a large area in excess of what is considered a workmanlike finish. The finished pipe shall be reasonably straight. The defect may be removed by grinding provided that the remaining wall thickness is within specified limits. Repaired in accordance with the repair welding provisions. The section of pipe containing the defect may be cut off within the limits of requirements on length. The defective pipe may be rejected. Tiancheng Group supplies ASTM A333 and equivalent low temperature welded steel pipe and seamless steel pipes in good quality, if you are interested in buying fine fluid pipe from reliable steel mills, please send an email now!